Latest Updates from Reuters Archives - Page 2 of 105 - Africa M.E. 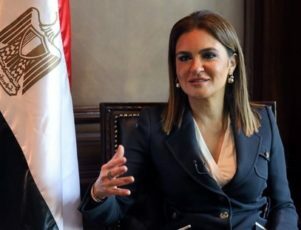 CAIRO (Reuters) – Egyptian Planning Minister Hala al-Saeed told Reuters on Saturday that she projected foreign direct investment in the country had reached $8 billion to $8.5 billion in the 2016-17 fiscal year which ended in June. Speaking on the sidelines of a news conference, Saeed said the government was targeting a 20 percent increase in foreign direct investment in the 2017-18 fiscal year which started this month. Foreign direct investment in Egypt rose 12 percent in the first nine months of the 2016-17 fiscal year to $6.6 billion compared with $5.9 billion in the same period a year earlier, the investment ministry said earlier on Saturday. Saeed told a news conference that the economic growth rate for 2016-17 would not fall below 4 percent and for the fourth quarter of 2016-17 not below 4.5 percent. The government had projected a growth rate of 3.8-4 percent for the full fiscal year 2016-17. Saeed said she expected the initial budget deficit for 2016-17 to come in at 10.4 to 10.5 percent. The real deficit for the 2015-16 fiscal year was 12.5 percent. GABORONE (Reuters) – Botswana’s state-owned Okavango Diamond Company (ODC) sales rose 9 percent to $309 million in the first half of the year as demand improved, its deputy managing director said on Friday. 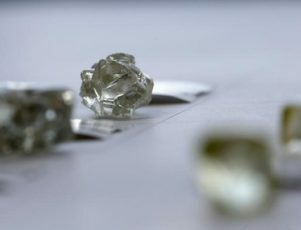 Marcus ter Haar told Reuters the company had sold 1.8 million carats in five auctions held since January. “The volumes of carats sold were 3 percent higher than the same period in 2016,” he said. ODC, which plans to have 10 tenders this year, sells 15 percent of the output of Debswana, a joint venture between Anglo American Plc’s De Beers and Botswana, which is targeting production of 20.5 million carats this year. JOHANNESBURG (Reuters) – South Africa’s Kumba Iron Ore said it expects half-year profits to rise by as much as 58 percent due to a recovery in iron ore prices. 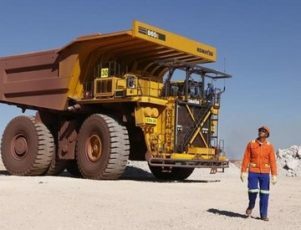 Kumba, which is 70 percent owned by Anglo American, said headline earnings per share (EPS) were likely to be between 13.70 rand and 14.85 rand for the six months through June, an increase of between 46 percent and 58 percent. “The increase in earnings for the period is largely attributable to higher export iron ore prices, partially offset by the stronger rand/US$ exchange rate,” the company said in a statement. Shares in Kumba were down 1.2 percent at 171.50 rand by 0710 GMT, hit by a near 3 percent drop in China’s iron ore futures after data added to concerns about surplus supply. 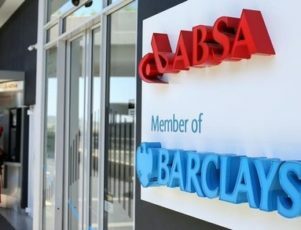 JOHANNESBURG (Reuters) – Barclays Africa launched a court challenge on Thursday to the anti-graft watchdog’s findings that the lender’s South African unit unduly benefited from an apartheid-era bailout. Public Protector Busisiwe Mkhebane said last month her investigation had found the apartheid government and central bank breached the constitution by supplying a bank later acquired by Absa, the retail banking unit of Barclays Africa, with a series of bailouts from 1986 to 1995. The constitutionally mandated anti-corruption agency said Absa must repay 1.1 billion rand ($83 million) to the state. “In reaching her finding that Absa benefited from the South African Reserve Bank financial support, the Public Protector appears to have impermissibly ignored facts and disregarded evidence provided to her,” Absa said. The bank said in court filings it had not benefited from the central bank bailout of Bankorp because the price it paid for it took into account the central bank’s financial assistance. 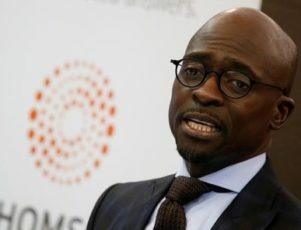 JOHANNESBURG (Reuters) – South African Finance Minister Malusi Gigaba laid out an ambitious 14-point programme on Thursday to wrench the economy out of recession that included the sale of non-core assets and partial privatisation of state-owned firms. 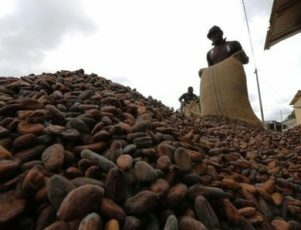 The plans to stimulate growth in the continent’s most industrialised economy appear to represent an ideological shift by the African National Congress (ANC), whose political alliance with the unions has tended to make privatisation a dirty word. A team commissioned by President Jacob Zuma to review state firms last year recommended that some should be sold. Now the government has set a date – March 2018 – by which to roll out a “private sector participation framework”. “All of these items that we have announced … they constitute an important intervention to restore confidence and demonstrate action, and outline an action plan that we as government can be responsible for,” Gigaba said. The government would also reduce the number of debt guarantees to this firms, especially those extended for operational purposes, he said. Analysts said Gigaba’s plan could face opposition. “I’m not sure how far he is going to be able to get with this because I think ideologically there’s a lot of opposition,” NKC African Economics analyst Gary van Staden said. South Africa’s economy entered recession for the first time since 2009 in the first quarter and is also struggling with high unemployment and credit ratings downgrades. The state of the economy is adding to the pressure on Zuma, who is also facing persistent corruption allegations and increasing calls for him to stand down from within the ANC. Parliament will hold a no-confidence vote on Zuma next month. Many of South Africa’s 300-odd state-owned companies are a drain on the government’s purse. Ratings agencies have singled out some as threat to its overall investment grade rating. The firms, known as “parastatals” in South Africa, include companies such as South African Airways, power utility Eskom and logistics group Transnet that are regarded as central to the functioning of the economy. Gigaba did not say what would be going under the hammer first, saying that would be determined by an audit. BNP Paribas South Africa economist Jeff Schultz said investors would want to see more details before endorsing it as a viable turnaround strategy. “It’s very difficult to say at this stage. He was quite cagey on what sales of non-core assets he was referring to,” Schultz said. South Africa sold its stake in mobile phone firm Vodacom in 2015 to as part of a 23 billion rand capital raising for Eskom. Schultz said it might try to sell similar stakes, rather than embracing formal privatisation. “In much the same way as government sold down their stake in Vodacom, the government is looking to do similar things to try and raise some revenue in the near term,” he said. 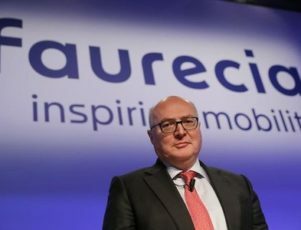 NAIROBI (Reuters) – Australia’s Base Resources expects its ilmenite output in Kenya to fall by 8-14 percent this financial year but does not foresee disruption in the run-up to next month’s national election, it said on Thursday. Base said that output of the commodity mined for titanium dioxide production and used as a base pigment in paint, paper and plastics will be between 400,000 tonnes and 430,000 tonnes in the year to June 30, 2018, compared with 467,359 tonnes the previous year. Production of rutile, used in refractory ceramics and as a pigment, is expected to be 88,000-94,000 tonnes, from 90,625 tonnes. Zircon output, meanwhile, is forecast at 32,000-37,000 tonnes, against 34,228 tonnes. “In the future … we will start moving into the lower-grade areas. Thus, for the given tonnage of ore, the amount of heavy mineral concentrate will reduce, thereby reducing the amount of ilmenite, rutile and zircon that we produce,” Joe Schwarz, Base Titanium’s general manager for external affairs, said in a conference call with reporters. Zircon is used to make ceramic tiles and in refractories, foundries and chemicals. Base Titanium, Kenya’s first large-scale international mining project, shipped its first consignment of minerals in February 2014 after years of delay. The $305 million project is viewed as a major part of Kenya’s plans to boost its relatively modest and undeveloped mining sector. Schwarz said he does not expect Base Titanium’s operations to be affected by the Aug. 8 election, when Kenyans will elect a president, parliament and local authorities. Many investors and consumers have been taking a wait-and-see stance on concerns over the potential for election-related violence. CAIRO (Reuters) – Egypt, the world’s largest wheat buyer, will stop subsidising flour for its sweeping bread subsidy programme next month in a move expected to cut wheat imports by up to 10 percent by curtailing smuggling, the supply ministry said on Wednesday. Egypt is looking to tighten its finances as it pushes ahead with a $12 billion three-year International Monetary Fund loan programme tied to ambitious reforms such as subsidy cuts and tax increases. 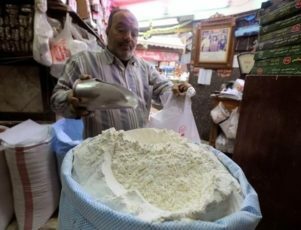 Austerity-hit Egyptians faced with inflation above 30 percent have increasingly turned to the state’s cheap subsidised bread to make ends meet, increasing the country’s food subsidy bill as well as its wheat imports. In the financial year to June 30 wheat imports reached 5.58 million tonnes, up from 4.4 million the preceding year. In an attempt to reduce waste the state will next month stop subsidising flour used by bakeries offering the cheap bread. Instead, it will restrict subsidies to the actual bread offered to consumers, Supply Ministry spokesman Mohamed Sweed said. Subsidy card holders currently obtain each loaf of bread for 0.05 pounds, less than a tenth of the cost of production, via an electronic smart card that allocates a maximum daily ration to citizens and compensates bakeries for the production cost shortfall with every swipe. Unscrupulous bakers have long bought up cheap subsidised flour and sold it on the black market, costing the state millions of dollars a year in squandered subsidies. Sweed said the new measure will remove the incentive for smugglng flour, cutting down on waste and helping to save the state up to 8 billion Egyptian pounds ($447 million) from its 2017-18 food subsidy bill, which had been set at 85 billion pounds. He said that lower flour consumption would translate directly into reduced imports.